As a crypto writer, I spend a lot of time online researching coins. One thing I’ve come to find is that for every exciting project you encounter, you find 10, 20, or maybe even more that are boring or just plain garbage. So few platforms out there are really doing anything different, most are just blatant copies of each other, maybe with a new bell and whistle added and a different logo. It’s very refreshing whenever I come across a project which not only has a unique and clear vision, but appears to be actually taking steps to achieve it. I came across Ubiq not too long ago, and instantly liked the platform. While researching further and doing my due diligence, I keep finding more and more things about the platform which urged me to write a follow-up article about it. 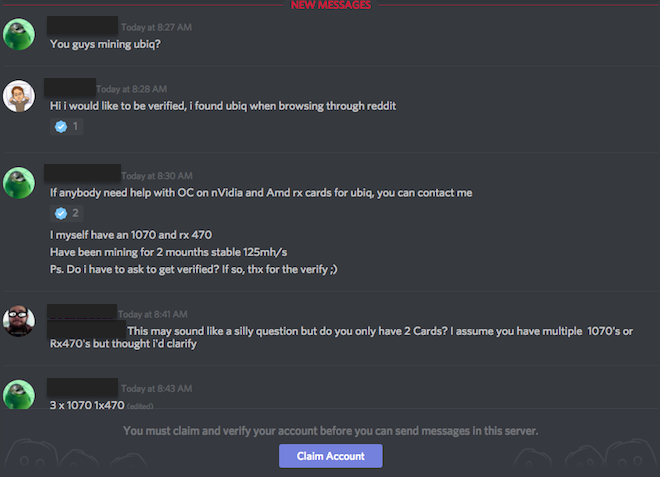 This is why I’m buying Ubiq. The Ubiq seed ledger originally comes from the Jumbucks blockchain. The Jumbucks chain came online September 1, 2014, and the swap over from this blockchain to the current Ubiq chain happened January 28, 2017 as documented in the Ubiq Nucleus Transparency Report. Ubiq, however, differs from these other coins because there was no pre-mined ICO. There was no ICO at all for that matter. This means that all coins have been obtained fairly by the founders and developers, and are accounted for. They all paid for it with their own time and money, like everyone else. Ubiq has had the opportunity to learn from many of Ethereum’s mistakes. Through this, they have laid the foundation for a very strong platform built rock-solid from the ground up. With the recent influx of stories regarding 51% hacks and the like, I’ve been reminded of the importance of this step. Ubiq has had some brilliant successes in the last year. Most notably being awarded the “Top Blockchain Company” at Canadian Fintech Awards. Ubiq was judged based on being “the most novel, practical or needed technology for digital currencies, Blockchain or distributed ledger tech.” This is a huge win for Ubiq, and shows that their platform is starting to get some recognition it deserves. Ubiq is also a relatively easy coin to mine. This comes from the fact that Ubiq has a much smaller DAG size than Ethereum, which makes it possible to mine with a home computer for the foreseeable future. This is a great advantage for someone looking for a way to get some blocks awarded to them. A sign of a strong cryptocurrency is if there has been any coins forked off its code. Ubiq luckily has had some early successes on this front, with some names such as Qwark, Dotcoin, and APX. APX is arguably the most successful of the group and can be read about here. In addition, Ubiq has a devout community driving the development. This is a big positive. Ubiq’s community is the beating heart of the project and there are many still around today who have been die-hard advocates for the platform from day one. If you with to join the Ubiq community, you can join their Discord group, follow their blog, or subscribe to their Reddit page. Ubiq runs a modified code base of Ethereum with some notable differences. One is the Flux Difficulty Algorithm. This design allows for the hash rate to automatically adjust to guard against network attacks. Ubiq can refocus the difficulty target in every block, and therefore react to changes by analyzing timestamps of the previous block. In addition, mining pools and crypto exchanges can use Ubiq’s Exponentially Subjective Scoring (ESS) feature to help prevent double spending. If adverse network conditions are detected by the protocol, ESS will exponentially reduce the window where double spending would take place, cutting out bad actors before they have a chance to move. Ubiq has a small but capable team lead by Founder Julian Yap. Yap was formally involved with Blocktech and Decred, and now is a full-time coin code reviewer with Bittrex. Yap somewhat famously only works on Ubiq part time, but has stressed numerous times in the past that his vision for Ubiq is to be a “community coin”, not relying on only a few people. If a coin’s development or direction lives and dies based on one person then that’s not a good thing. Other developers on the Ubiq team include Luke Williams, creator of Iquidus Explorer and technical director for KryptoTech; Kris Hansen, an experienced financial systems developer; and Aldo Borrero, an Android and blockchain fanatic with a banking industry background. Alex Sterk serves as CEO of Ubiq Technologies and is community manager for the UBQ cryptocurrency. Ubiq certainly has a lot of things going for it. They have learned from Ethereum’s mistakes by implementing only the most stable elements of the Ethereum blockchain. They also have a strong community backing their progress, plus a few technical differences which sets them apart from their competitors. Another cool thing is that Ubiq hasn’t seen the astronomical increases like Ethereum has; this means that it is still “affordable” to the average investor. In addition, they have a strong community, which is crucial for the success of a platform. Ubiq has seen some serious traction in the past year, yet some of its community members have even started to wonder if Ubiq will always be behind Ethereum. The potential is there, but this is something that remains to be seen. It is important to keep in mind that Ubiq wasn’t created to be an “Ethereum-killer”, nor is it a project which has ever unnecessarily hyped up their coin. The project has always maintained that it was created with the purpose of creating dapps for enterprises that are extremely stable and can be relied upon for years. 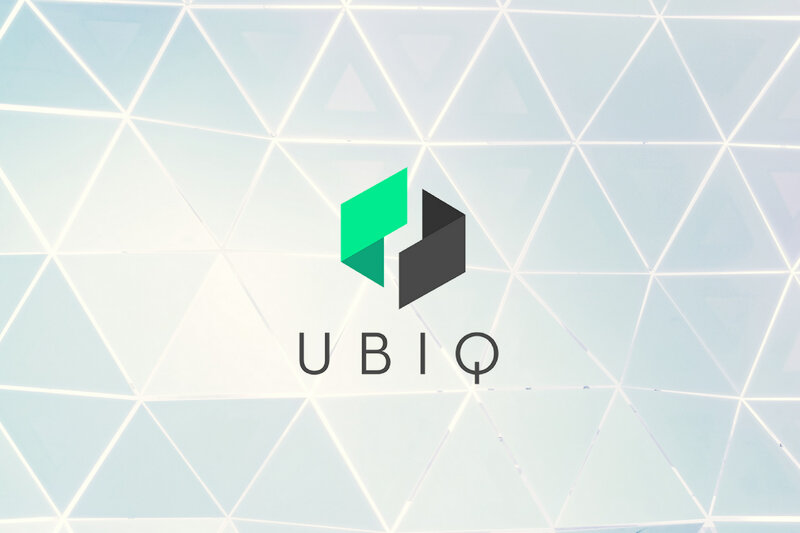 For this reason, I wouldn’t expect to see Ubiq’s price to fluctuate dramatically—it is more likely to keep the steady course, gradually creating a rock-solid platform which businesses can rely on for years to come. Price should rise in time as adoption increases, but if you are hoping for rapid gains, you may want to look elsewhere. For the patient supporter, however, accumulating gradually, Ubiq has the potential o be an excellent long-term HODL which should stick around, constantly growing stronger, for years to come. For more reading on Ubiq, see: Ubiq: The Future Of Stable Smart Contracts and A Guide To The Ubiq Token Economy.